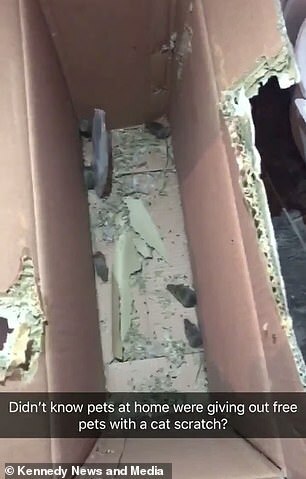 This is the shocking moment a Pets at Home customer opened a new cat scratching post to find six live mice inside the box. Rebekah Phillips reportedly discovered the nest of rodents when she unwrapped her new Avery Ascent Cat Scratch Tower last week. 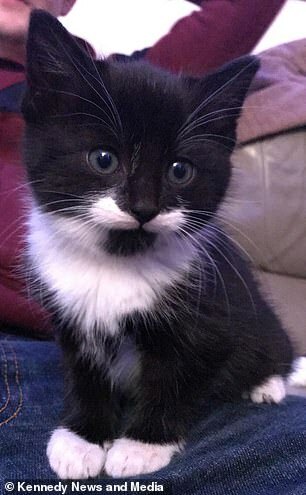 Ms Phillips, 23, said her three-month-old kitten Rupert was so excited she was forced to shut him in the living room to stop him hunting the creatures. 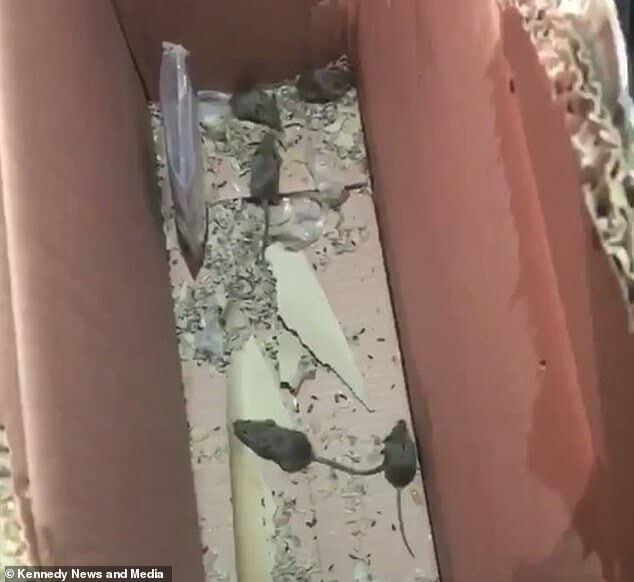 The six mice had left the cardboard packaging ‘urine-soaked’ – and the corpses of two dead mice in the box added to the stench, Ms Phillips said. But as the Macclesfield branch of Pets at Home had since closed, the finance assistant eventually decided to free the rodents in her garden. In a short clip captured after she found the critters, the 23-year-old can he heard laughing nervously at the scene. Ms Phillips, from Buxton in Derbyshire, said: ‘When I saw them I was in shock, completely dumbfounded. ‘You can hear me in the video laughing nervously, I didn’t know what to do with them. ‘As it was after 5pm everywhere was shut. 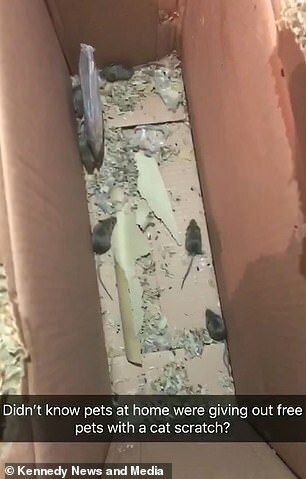 I could see they were getting under the bottom of the cardboard box but couldn’t quite make it – their little bums were stuck. ‘Then I was freaking out as the last thing I needed was six mice getting out. ‘I put Rupert in the living room away as he knew something was going on – probably thought “more toys!” – I didn’t want him chasing or killing one. Ms Phillips first discovered something was amiss when she noticed a strong odour coming from the box. Ms Phillips said: ‘There was nothing unusual at first it seemed fine apart from a bit of damage to one of the corners of the cardboard box. ‘When I opened it it was a bit damp and did wonder if it was Rupert, but he’s good with his litter tray. ‘Then there was this smell of wee and like something had died in there, it stunk. ‘After I took the first thing out I saw one tiny mouse after hearing it scuttling about. 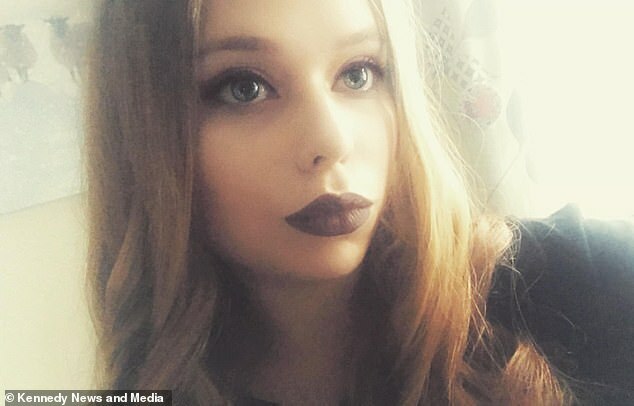 The finance assistant has since contacted the store and received a full refund and £45 in gift vouchers from the Pets at Home customer services team. 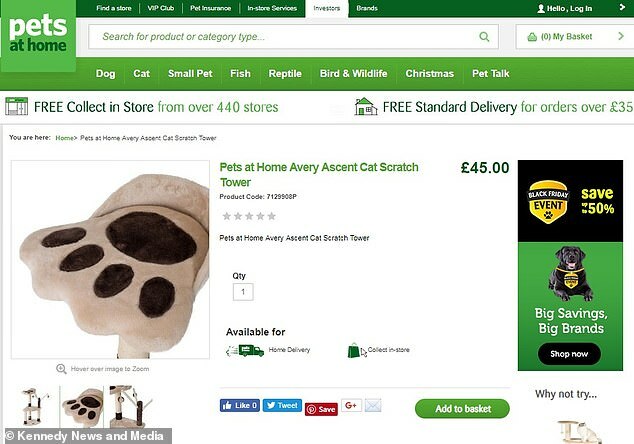 A Pets at Home spokesman said: ‘We are very sorry that the cat scratcher bought by Rebekah came with some unwelcome additions to the box.